Deceased members of 85th FIS as known. Those in red deceased since 1998 reunion. 09-26-2006 Added: Emil Froehlick. Deceased 2004 in auto accident. BUTTRY, PAUL D. (DEC) % deceased 1955? KLEMOVICH, JOSEPH T. (DEC) % deceased 1981? Harold N. "Ben" Benham, 81, of El Dorado , died Tuesday,Oct. 17, at Susan B. Allen Hospital . Services will be held at 11 a.m. , Saturday, Oct. 21, at Kirby-Morris Funeral Home. He was born Aug. 11, 1919 to Corbin and Alice (Stewart) Benham in Knox County , Ind. He had lived in El Dorado since 1996, coming from Green Valley , Ariz. He was married to Dorothy Graham. He was a retired colonel in the United States Air Force. He was a veteran of World War II and the Vietnam War. During World War II, he was a navigator on a B-24, having served in the South Pacific. He was a member of the V.F.W. and the American Legion. In 1977, he set a record for an around the world flight in a single engine airplane. One of his proudest moments came when he commissioned his son, Brady, into the Air Force. Survivors include: sons, Major Brady Nolan Benham, M.D. of O'Fallon, Ill., and Bruce Baron Benham of Scottsdale, Ariz.; brothers, Corbin Benham of Mulvane and Tim Benham of Wichita; and eight grandchildren. Memorials may be made to the World War II Memorial, in care of Kirby-Morris Funeral Home, which has the arrangements. Carlinville attorney Walter William Denby died Feb. 24 at age 75 in his home. A 1960 graduate of the Northwestern University School of Law, he was a founder and senior partner of Denby, Meno, Bloomer & Denby. 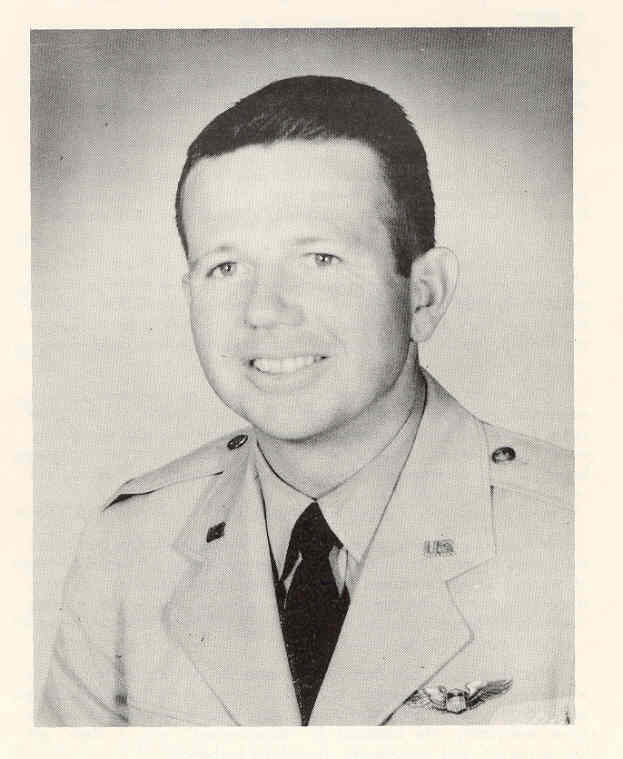 Mr. Denby served in the Air Force from 1953 to 1956 and retired from the Illinois Air National Guard in 1960 as a captain. He was a past president of the Carlinville Rotary Club and the Carlinville Area Hospital Mid-Mac Foundation, and an executive board member of the Abraham Lincoln Council of Boy Scouts of America. He received the Silver Beaver Award. 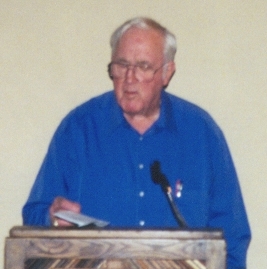 Survivors include a son and law partner, Thomas Day Denby. September 12, 2004 Emil Froehlich, 82, of Clay, NY, died on September 12 in an automobile accident. He was a U.S. Air Force pilot, flying numerous combat missions during WW II and the Vietnam War. He was highly decorated for his brave service and retired after 28 years. Emil was buried last Monday in New Jersey with full military honors. He is survived by Jeanne, his loving wife of 55 years; daughter, Cheryl Tobias of Baldwinsville, NY; son Steven of CT; son David of Liverpool, NY; and five affectionate grandchildren. Donations to Disabled American Veterans, Chapter 30, P.O. Box 661, Syracuse, NY 13201. Published in the Syracuse Post Standard on 9/26/2004. A career Air Force pilot, Major James H. Metz joined the Air Force in 1953 and was stationed at various bases before being assigned to Korat Airbase in Thailand, flying the F-105 Thunderchief. On 15 April 1968, Major Metz was part of a flight attacking a target near Van Loc in Quang Binh Province, North Vietnam. While over the target Metz' aircraft (F-105D #61-0206) was hit by antiaircraft fire. As he turned toward the coast in order to get over open water the aircraft began to burn, forcing him to eject while still over North Vietnam. His wingmen observed the ejection and saw Metz land in a clump of trees near a road. Although enemy fire and fuel considerations forced the wingmen to leave, they had plotted Metz' location and initiated search-and rescue. By the time SAR forces arrived some 45 minutes later Metz' parachute was gone and there was no sign of activity except for heavy ground fire which prevented further searches. A Hanoi Radio broadcast describing the capture of an American pilot on 15 April was presumed to refer to Major Metz, since he was the only American downed over North Vietnam that day. Three weeks later, an intelligence report was received claiming Metz had been seen alive on the ground with his captors shortly after the crash. The Defense Department then changed Metz' status to Captured. However, Major Metz was not among the 573 POWs released in Feb/Mar 1973 and none of the repatriated prisoners had knowledge of him, leading to the assumption that he was killed very shortly after being captured. Although the Vietnamese government denied knowledge of how Major Metz died, they did return his remains on 18 March 1977. 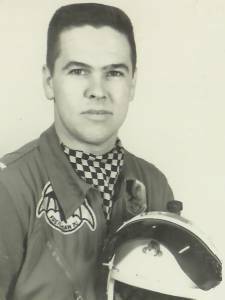 As it happens, one of Metz' squadronmates from the 85th Fighter-Interceptor Squadron, Major Charles E. Rogers , had been killed in action over Laos almost a year before (04 May 1967). and died in Rogers, Arkansas. He was the son of Howard Peck and Electia Montgomery Peck. He was an Air Force veteran of 30 years, retiring as a colonel. Chester "Pappy" Welch died 10-08-1999. Reported by son in 2006. Details to follow.